There are times when you may need to use the same form on the same page to email the submitted form data to different recipients. This avoids having to create separate pages with separate for plugin setups for each page. 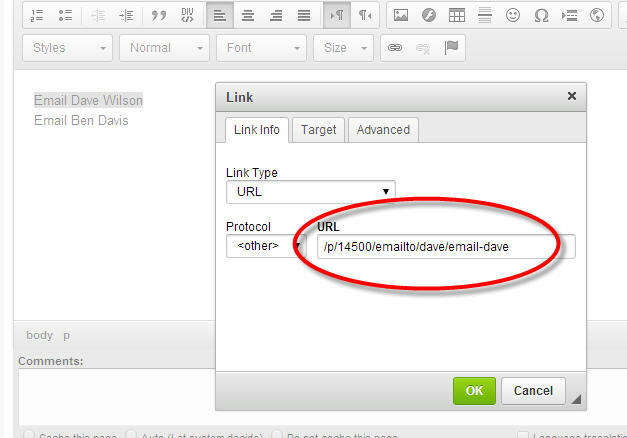 This functionality also hides the real email address used from the Internet throughout the entire process. Enter all the desired email addresses prefixed with an easy to remember reference. So above, we entered [email protected] and [email protected]. Then all we have to do is use a link to tell the form which email address to send the submitted form data to as follows. /p means we want to go link to a page. Here we need to go to the page with the form on it, in our example being 14500, therefore /p14500/.